The existence of gravitational radiation is one of the most elegant predictions of Einstein's theory of general relativity. 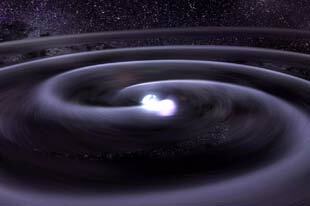 Almost 100 years after the theory was put forward, however, the direct detection of these waves remains elusive. Scientists in the United States and around the world have now built exquisite instruments, such as Laser Interferometer Gravitational Wave Observatory (LIGO), sensitive enough to see gravitational waves from the cosmos. The first detection will usher in a new era of scientific discovery using gravitational waves as an astronomical tool to see black holes, neutron stars, and signals from the beginning of the universe. Brady will discuss the technical challenges of this endeavor, what has been achieved so far, and the prospects for gravitational-wave astronomy over the next decade. Patrick Brady received his B.Sc. in Mathematical Science from University College Dublin in 1988 and a Ph.D. in Physics from the University of Alberta in 1994 where he studied with Werner Israel. He was a research associate at University of Newcastle-upon-Tyne from 1993-1995, a Prize Fellow at Caltech from 1995-1998 and a research associate at University of California, Santa Barbara from 1998-1999. 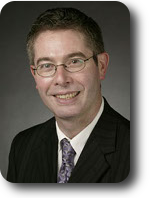 Since 1999, Brady has been at University of Wisconsin-Milwaukee where he holds the rank of Professor and is Director of the Leonard E Parker Center for Gravitation, Cosmology, and Astrophysics. Brady received a Research Corporation Cottrell Scholar Award and a Sloan Research Fellowship in 2002. Brady was made a Fellow of the American Physical Society in 2010. He was Secretary/Treasurer of the American Physical Society Topical Group in Gravitation 2002-2005 and was elected Vice-Chair in 2009. Brady serves on the Executive Committee of the LIGO Scientific Collaboration. His current research focuses on the analysis and interpretation of data from the worldwide network of gravitational-wave detectors. 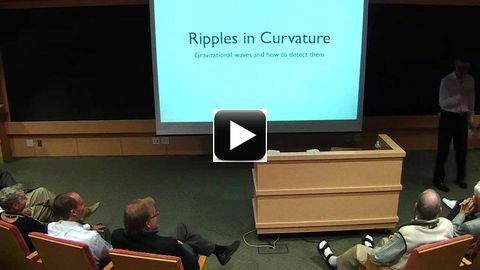 Begin video of short introduction by Derek Westen & Lars Bildsten.